South Sudan bans foreign workers; is it the right move? Yesterday the South Sudan government made one of the most unexpected announcement. The War-torn country banned the employment of all foreign workers, including aid workers and ordered they be replaced by locals. “All non-governmental organisations, private companies, banks, insurance companies, telecommunication companies, petroleum companies, hotels and lodges working in South Sudan are directed to notify all the aliens working with them in all the positions to cease working as from 15th October,” said a government statement, that was also published in several newspapers. According to the order, organisations and companies should advertise all the positions so that they can be filled by “competent South Sudanese nationals”. This order comes despite warnings that the country, which has been gripped by civil war for the past nine months, is on the brink of famine. Question is, is this the right move by the South Sudan Government? The country is heavily dependent on foreign aid groups for humanitarian assistance for millions of people who have been internally displaced by the conflict in the country. It is estimated that by 2015, South could easily tip into famine. The aid effort being done by most aid organisations is huge and needs to be boosted especially now that the situation is dire. The country suffers from a major shortage of skilled workers, with only around a quarter of the population being able to read and write.Workers from regional neighboring countries like Ethiopia, Eritrea, Kenya, Sudan and Uganda, provide key services, in the country. For a new country just emerging from nearly a half century of violent conflict, this order is just so disturbing. According to a report by United Nations Development Programme (UNDP), People in South Sudan face urgent humanitarian and development needs. It is estimated that more than 800,000 people had been displaced from their homes by late February 2014. Thousands have been killed or wounded in the fighting. Hundreds of thousands have lost livelihoods and access to basic services. 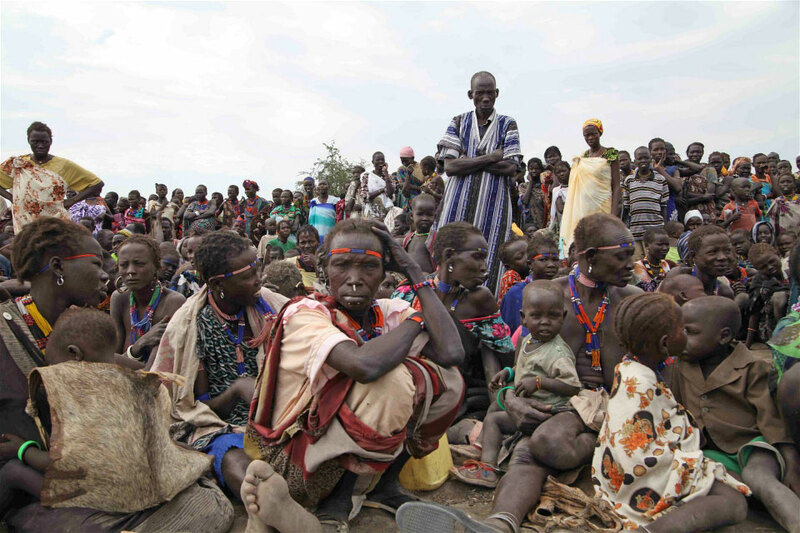 Around 3.7 million South Sudanese are facing acute food insecurity. Several development partners, have been trying to restore basic livelihoods and assistance through helping rebuild the countries infrastructure. But now they are being ordered out. According to South Sudan’s Information Minister Michael Makuei who spoke to AFP the the order only covers “jobs South Sudanese can do”. Well, is this the right move by the country?